The MSE department is internationally known for glass science and materials research, as evidenced by these advances. As an MSE student, you’ll have a chance to work alongside faculty on such research in state-of-the-art classrooms and laboratories. 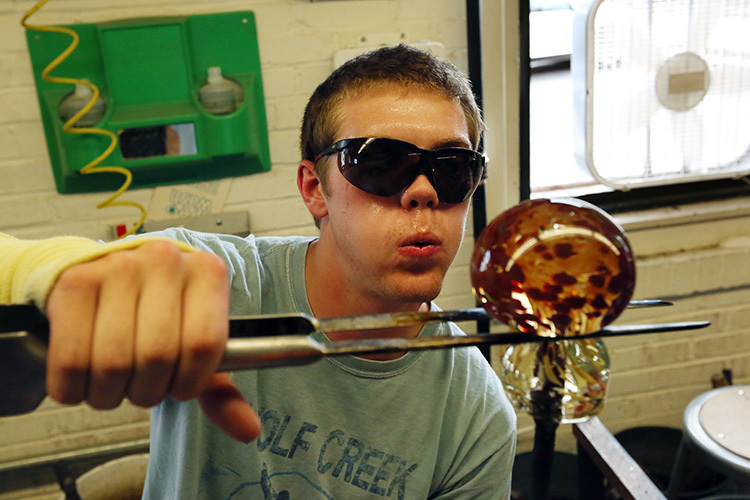 An exclusive group of MSE students get to work out of the Hot Glass Shop each semester. Once they learn the basics of working in the shop, students are turned loose to express themselves by making a variety of objects for practical application or aesthetic appeal. The shop contains a freestanding crucible, which is filled with more than 100 pounds of clear glass at 1,135 degrees Celsius, and a reheat furnace. 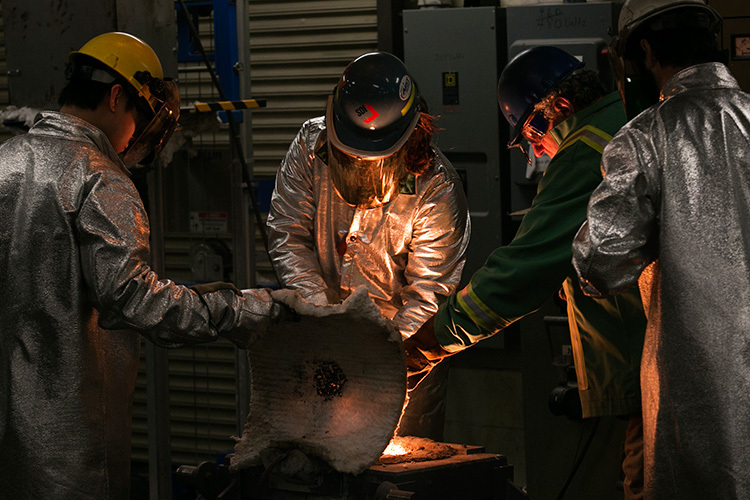 MSE students collaborate with steel companies, foundries, suppliers and faculty researchers at the Kent D. Peaslee Steel Manufacturing Research Center. Working with these partners, they address fundamental steel casting/manufacturing issues such as steelmaking, casting, product development, and environmental and safety issues.